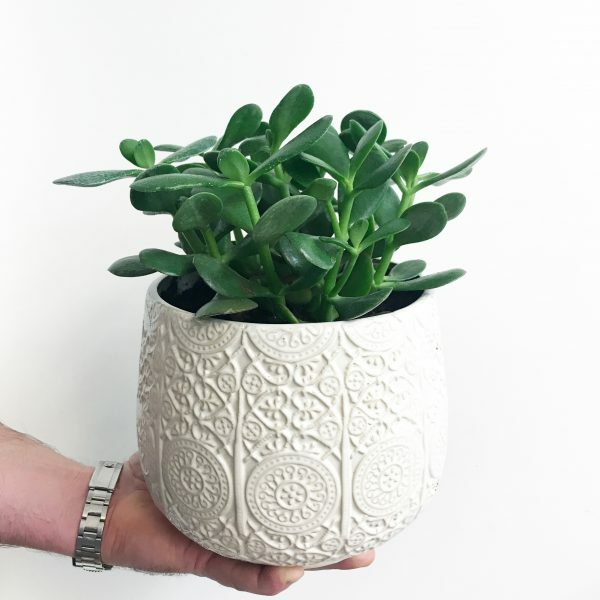 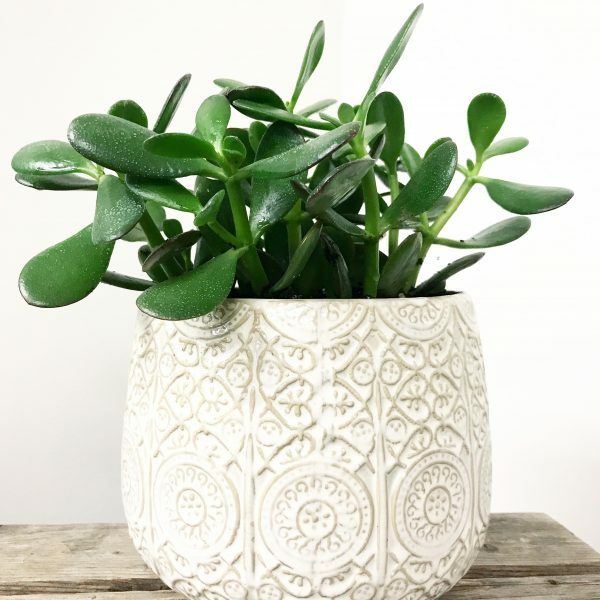 Jade plant in a cream cable knit planter. 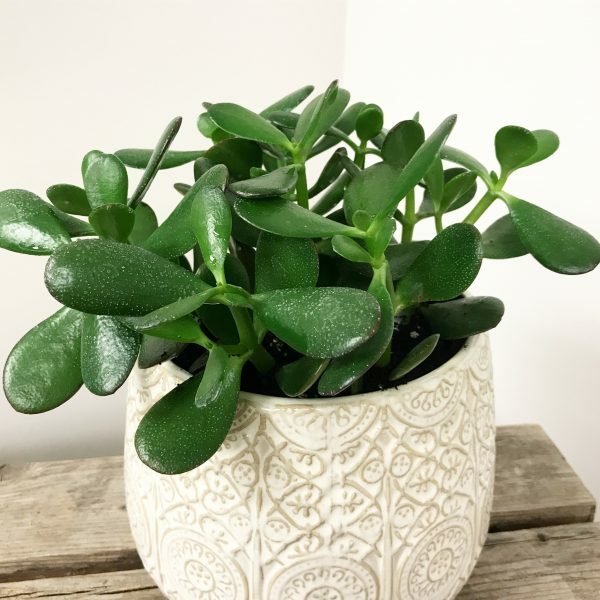 Jades are succulent plants. 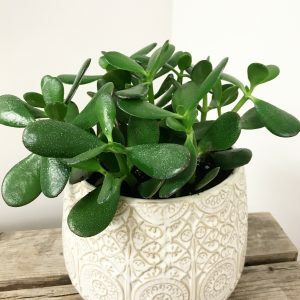 Measurements – 6″ Jade Plant in a 7.75 by 6.75″ pot.